When you are building a new home, choosing a floor plan is one of the first and most important decisions that you will make. Choosing a floor plan requires that you consider your current needs as well as your future needs. As you consider which floor plan is best for your family, keep these top five factors in mind. Unless you live alone and do not have people over, choosing a floor plan that facilitates good traffic flow will be important. Some considerations with traffic flow include the placement of heavily or frequently used rooms, such as half-baths and kitchens. Placing these two rooms too close to each other can create a traffic headache during the busiest times of your day. Choosing a floor plan for your home also requires that you keep accessibility in mind. If you plan to live in your new home for a long time, you may wish to include features such as wide doorways that could accommodate a wheelchair or walker. You might also want to consider accessible plumbing fixtures, cabinets and drawers. These features will allow you to enjoy your new home and will allow you to accommodate guests with disabilities. If you are an early riser, you may not want your master bedroom or child’s bedroom to be located directly above the kitchen or garage. Kitchen activities and the opening and closing of the garage door produce a lot of noise that can disturb other members of your household. Although schedules can change, it is important to consider when and how each area of your home will be used. Your home’s floor plan will have a considerable impact on its safety. You may wish to have some areas of your home more private so that guests do not have access to them. This might mean a second-level master suite and nursery. You may also wish to have a sort of buffer zone between your front door and living room or your attached garage and the living areas. If there is a possibility that your household could grow in size because of a new baby, a child returning home after college or even the addition of a family pet, choose a floor plan that offers room to grow. Flexible spaces such as dens that double as bedrooms may be a good option for growth. If you are planning on paying a premium to create the home of your dreams, you deserve a contractor that will respect your investment. Since not every luxury home builder is created equal, you should take your time before deciding on the contractor that will meet your needs. What exactly should you be looking for before making your decision? Is Your Luxury Home Builder Ethical? It is critical that your builder will act in an ethical manner at all times. This means that he or she will observe building codes, labor laws and any other rules that may come into play when building your home. It is also important that he or she is honest about how much the project will cost and the materials that are used in its construction. Will Your Luxury Home Builder Make Changes If Necessary? Before any work begins on your home, you and your contractor should go over exactly what is being done, when it will be done and why it is being done. If for any reason you decide to change your mind about the appearance of your home, the contractor should work with you whenever possible. For instance, if you want another bedroom instead of an office, your contractor should do his or her best to add a closet or extend the room to make it big enough for someone to live in. Who Will Your Contact Be? If you choose to work with a small contractor, the owner of that company may handle your project directly. However, if he or she owns a large company, you may get stuck talking to a secretary or someone else paid to talk on behalf of the owner. While it is likely that your contact is knowledgeable and cares about the quality of your project, only the owner can personally put his or her reputation behind every project completed. Therefore, it may be a good idea to ask if the owner of the luxury home builder that you hire will either oversee the project or can be contacted if necessary. Your luxury home should have everything that you want and need. It should also be built by a contractor who cares about your desires and will do whatever it takes to get the job done right. Otherwise, you will either have a home that you don’t like living in or will have to pay twice to get it built to your specifications. Are you ready to purchase a home that is only waiting for your finishing touches? With the new homes in Memphis, all you have to do is move in and unpack. The appliances, floors and walls have already been installed. These homes are ideal for growing families, for empty-nesters who are seeking single-floor living, and for people who are seeking a safe and friendly neighborhood in which to live. 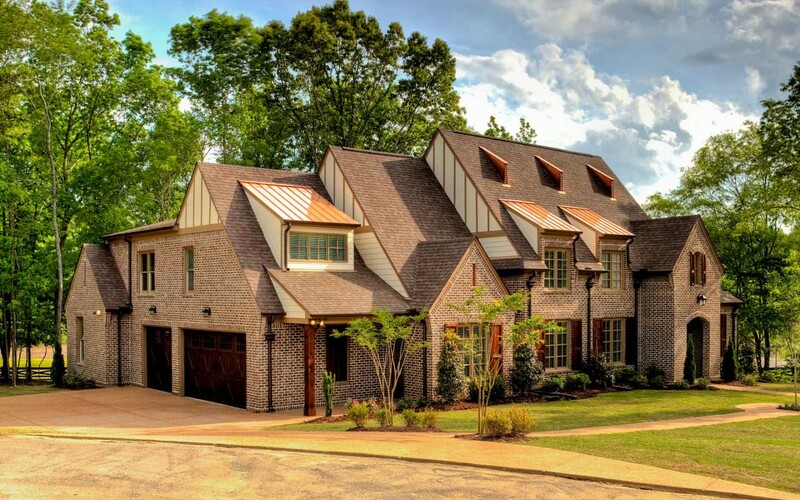 No matter what size or style of new homes in Memphis you want, you will find it in one of our 13 communities. Most of the homes are Craftsman styled or inspired. The hallmark of the Craftsman style is quality materials. The exquisite detailing of the exterior of the homes includes covered front and back porches, clean and simple roof lines and ample windows to let the light shine into your living spaces. You can also choose a European-inspired home. This style has ornate details such as carved woodwork in the kitchens and on the stairs. Our move-in ready homes in Memphis have been outfitted with luxurious finishes such as hardwood floors, baseboards and trim. Stainless steel appliances and energy-efficient lighting and water fixtures are already installed. The homes are ready to live in with high-efficiency heating, ventilation and air conditioning systems. You will also find top-of-the-line insulated windows, neutral paints on the walls and plenty of cabinet and closet space. The homes feature three to five bedrooms as well as flexible spaces such as game rooms, craft rooms and home offices. Our communities are located in Fayette and Shelby Counties. These newly designed communities feature street lamps for your safety, fully finished curbs and smooth pavement. The communities are close to neighborhood shopping centers, restaurants, movie theaters and the schools and parks. Once you have selected one of the new homes in Memphis, you will be ready to get to know your new neighbors and the neighborhood. We have designed our homes to be easy to socialize in. You can set up a couple of rocking chairs on your front porch and wave at the neighbors as they pass by. Our homes also include ample backyards that are perfectly sized for barbecues and playing a game of catch with the kids. When you don’t like any of the homes currently on the market, it may be worthwhile to build your own home from scratch. This provides you with an opportunity to customize it to your liking, which increases the odds that you will live there for many years or decades to come. 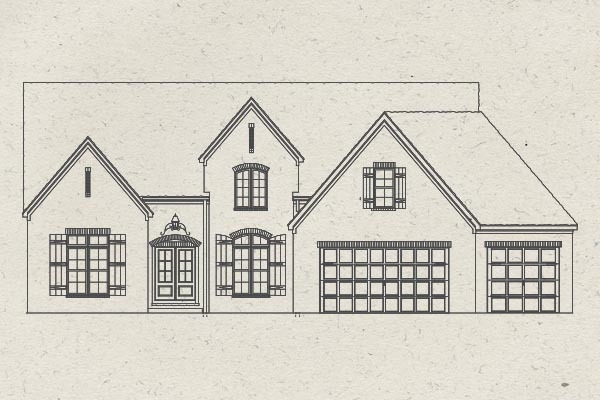 What are some good questions to ask when building a custom home? Among the questions to ask when building a custom home is who will be doing the work. While you may know who the general contractor is, you shouldn’t assume that he or she will do all of the work. It is common in construction projects to delegate tasks to subcontractors. For instance, the general contractor may have another company work on the kitchen or hire a plumber to install your pipes. While there is nothing wrong with subcontracting, it is important that you know who did the work in case there are issues in the future. It may take several weeks or months to build a custom home. This is because the contractor will need to coordinate with other parties to get materials and ensure that there are enough people on hand each day to stay on track. Delays could also occur if the weather is poor or the roof shingles or other materials show up late or are defective. One of the most important questions to ask when building a custom home is how you can protect your investment. New homes are generally more expensive than existing homes because you are paying for material and labor in addition the land and other costs related to getting a mortgage. Therefore, you should find out what type of warranty exists on the home and how long it lasts for. You should also ask about any exclusions that could leave you on the hook for expensive repairs if anything breaks or stops working properly. Building a custom home can be a great way to get what you want without having to do any house hunting. You also control where the home is located, which means you know where you are sending your kids to school or if there is a main road nearby to make your commute easier. Assuming that you have a good rapport with your builder, there is no reason why you can’t get your dream home at a reasonable price and in a reasonable amount of time. The process of building your dream home involves aspects that run the gamut from financing to furnishings. When you get down to it, you’re going to be building not just a home, but a relationship with the folks who are helping you realize your dream – you’ll be spending months and months together, after all! It is crucial to be armed with information when undertaking what is undoubtedly one of life’s biggest investments. How do I select a builder? There are many builders out there, and finding one who is not only a good fit for your project but who has impeccable credentials is vital. What it boils down to is experience and reputation. Your builder should, of course, be licensed and insured but also willing to provide information regarding his education, training and experience as well as membership in professional organizations and industry awards. Check with the Better Business Bureau, where you can find if there have been complaints and, if so, whether issues were adequately resolved. Ask for references. A reputable builder should have no qualms connecting you with previous clients who can share their experience of going through the homebuilding process with your potential contractor. Nor should he have reservations about allowing you to tour sites and see construction progress for yourself. The fact that Southern Serenity has been involved with St. Jude Dream Home since 2008 is testimony to the dedication and quality of the homes founder Greg Bridgers builds. Thousands have toured these homes, inspecting his work, and he has twice been awarded the St. Jude National Dream Home® Builder of the Year. The cost of building a custom home depends on many variables; land, materials, size and amenities are but a few of the considerations. A good builder will act as a guide on your homebuilding journey; he will advise you along the way, helping you make smart decisions. Southern Serenity takes pride in their ability to address homebuyers’ “wants” and “needs,” weigh them against matters of budget and come out at the end with happy, loyal customers. They also will not “overbuild,” a practice in which a builder lets a homeowner sink too much money into a house which ultimately the market cannot support. While generally you will spend more on a custom home than a production home, Southern Serenity is committed to building top quality homes for less, ensuring value in your investment. 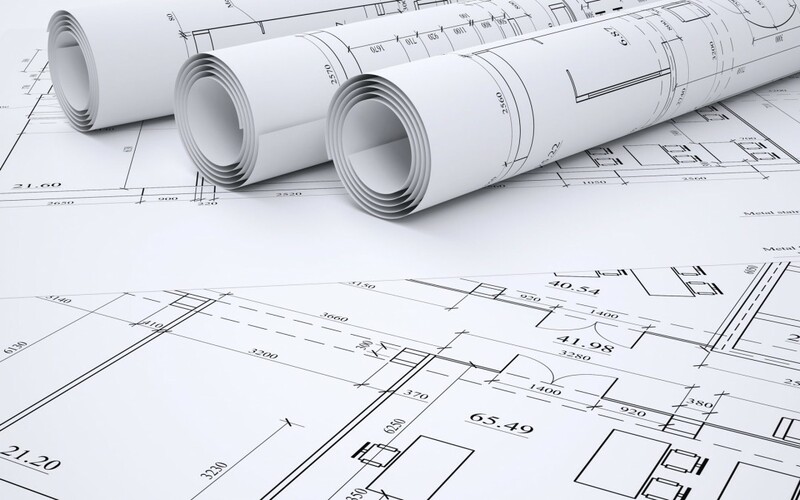 Many builders have a portfolio of floor plans from which homebuyers can choose to customize, but perhaps you’ve already been working with an architect, drawing up the blueprint for your dream home. The custom builder and the architect each have very specific skills sets and will bring something different to the table. You need to find out if what you want is in your builder’s wheelhouse. 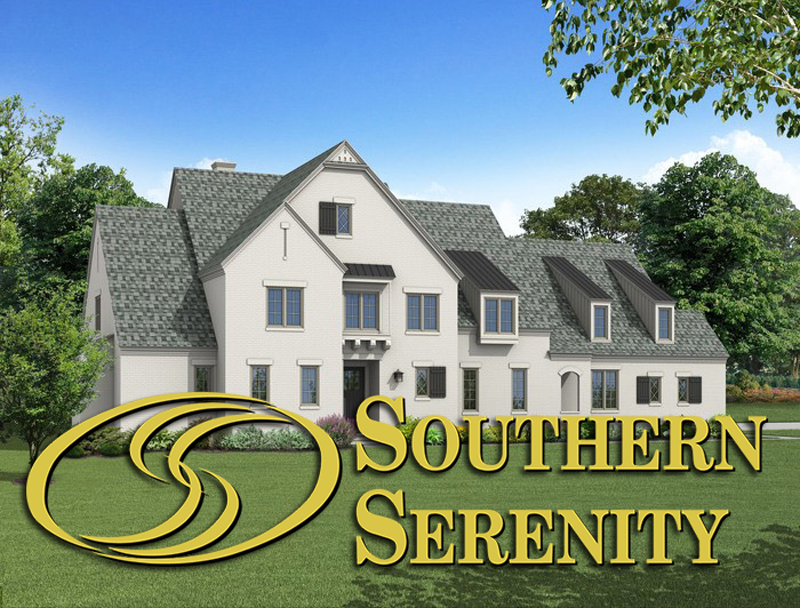 Southern Serenity has the depth of experience and expertise to tackle any project presented to them, not to mention a relationship with a roster of architects with which they can work to modify, customize or adapt plans as necessary to accommodate site features as well as meet planning and building codes. Know, too, that if you’ve purchased “stock” plans, they may essentially end up being merely a guide as there is really no one-size-fits-all scenario in homebuilding. Can you build on a lot I already own? If you already own a lot, you have one step of the homebuilding process behind you. Find out if a potential builder has the reach and willingness to build where your property is located. Many builders specialize in building on improved lots in planned communities where infrastructure is already in place. Some builders specialize in building on land that requires improvement. Southern Serenity has the expertise to do both, with founder Greg Bridgers boasting more than 4,000 new home builds in the last 25 years. Why should I do business with Southern Serenity? While you are making an investment in your home, constructing a quality home is an investment in a community. Southern Serenity founder Greg Bridgers’ philosophy of “quality, value and integrity” ensures that when you take that leap of faith, he and his team will see you through the process of making your dream a reality. Greg is a hands-on guy who just may be the person who picks up the phone when you call. He takes a personal approach, knows what’s going on with every home under construction and goes to great lengths to follow through on his promise: to deliver the home of your dreams with no detail overlooked.